What Is A PJC And When Should I Use It? A PJC is the acronym for a Prayer for Judgment Continued. A PJC is most commonly requested in traffic related offenses such as speeding offenses, red light tickets and other types of Chapter 20 motor vehicle violations. If I Am Arrested For Driving While Impaired, Should I Take The Breathalyzer Test? “Should I take the breath test or should I refuse?” Although every case is different, there are some important factors that must be considered in making this decision. Texting While Driving – Are You Guilty? We are entering our holiday season and many of us will be traveling. I hope you will be careful while traveling and resist the urge to text or email while driving. Will A Speeding Ticket Increase My NC Insurance? Our traffic and criminal law attorneys in Wendell and Raleigh, NC get this question often: will a speeding ticket increase my insurance rates? Do you have a viable defense prepared for your traffic ticket case? 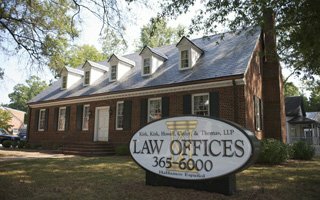 Our Raleigh criminal lawyers offer useful advice on building a defense. Should I Pay My Traffic Ticket Or Fight It In Court? If you’ve received a traffic ticket (speeding ticket, moving violation, etc.) in or around Wake County, you may be wondering if it is worth your time to go to court and fight the ticket or to simply pay the fine.